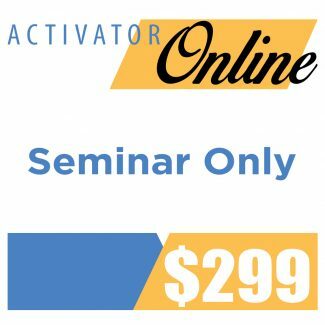 Activator Online Seminar plus Activator IV Adjusting Instrument. Registering for this package of Activator Online includes an Activator IV adjusting instrument at a reduced price! This is a $1064.00 value! Activator Online Seminar plus Activator IV Adjusting Instrument. Registering for this package of Activator Online includes an Activator IV adjusting instrument at a reduced price! This is a $1129.00 value!